Weekends on Bigg Boss 11 is all about fun, masti and some star-studded moments. It is also the time to witness Salman Khan getting candid with the contestants. Making the weekend episodes special, this week the controversial reality show will see the entry of popular Colors TV stars. 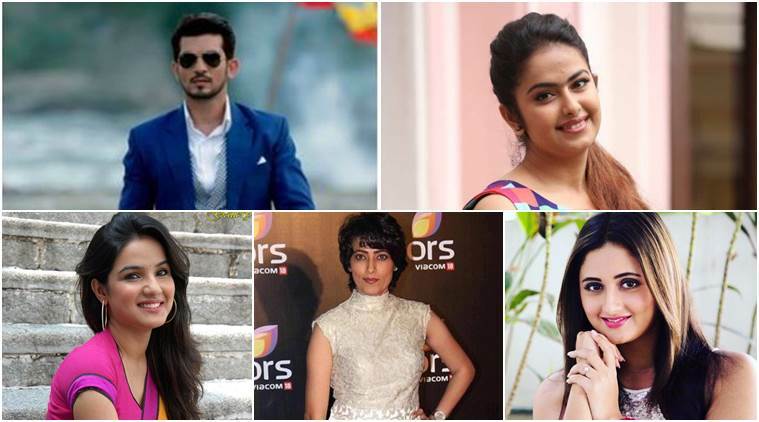 Ishq Mein Marjawan actor Arjun Bijlani, Dil Se Dil Tak stars Rashami Desai and Jasmin Bhasin and Colors’ upcoming drama Laado 2 actors Meghna Malik and Avika Gor will be present on the sets of Bigg Boss 11. Seems like Bigg Boss has definitely planned a sparkling and colourful Diwali for the housemates. On Saturday, the wild card entrants Priyank Sharma and Dhinchak Pooja will enter the house. And Sunday will get more entertaining with these popular stars. Be the first to comment on "Arjun Bijlani, Avika Gor, Rashami Desai, Jasmin Bhasin and Meghna Malik in Bigg Boss 11"